How civil servants use their annual volunteering allowance (up to five days special paid leave) is a personal choice. I know colleagues who are school governors, mentors, or who spend time in homeless shelters, all of which they find rewarding in deeply meaningful ways. For myself, having previously worked for the UN in Sudan and Nepal, I wanted to continue supporting humanitarian relief efforts. Board roles in the voluntary sector are regularly advertised and we have a thriving NGO (Non-governmental organisation) community. I proudly sit on the UK and Irish boards of Concern Worldwide as a non-executive director and trustee. Concern is an amazing charity, focused on tackling hunger, transforming lives and working with some of the world’s poorest communities to build their resilience. Board membership entails quarterly evening board meetings, to discuss programmes, assess risks, monitor finances and impact, and an annual away-day to forward plan and learn more about programmes from country directors. Regular news updates keep us abreast of global humanitarian crises and Concern’s response. As board members, we are responsible to the individual and institutional donors that fund Concern’s work; and to our teams in the field, to ensure we understand the complexity of humanitarian work, allocate our resources strategically, and keep informed of volatile security situations. As UK Aid is a major donor to Concern, it is also important to me to learn how our public policy, humanitarian and Sustainable Development Goals (SDGs) are being met through government-supported organisations. 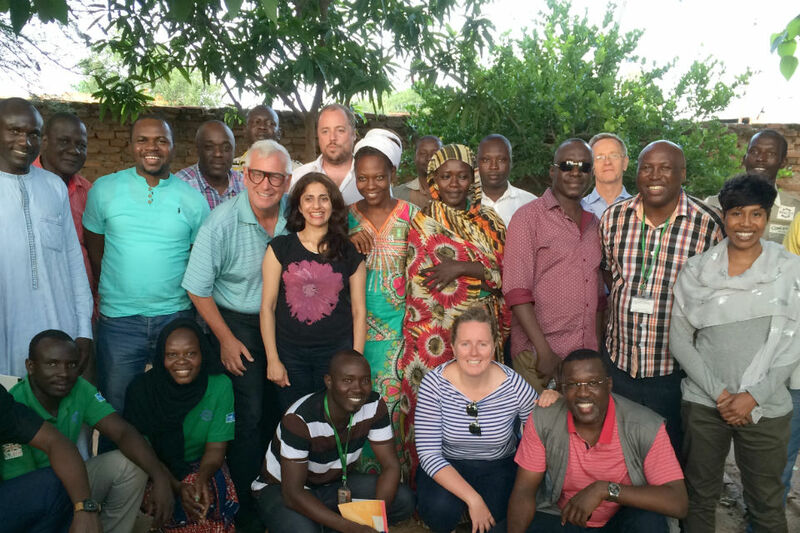 Every few years, Concern arranges for board members to visit the countries where it works. This acknowledges the deeper understanding we gain from seeing at first hand the important and challenging work of our teams in the field – something you can’t get merely from reading board papers. This year, I used my volunteering allowance to visit Chad with Concern. I have seen many desperately poor and remote villages in various countries, but I had never seen poverty on this scale. Chad is a vast, landlocked country in Central Africa, at the bottom of the Human Development Index. It is an oil producer, but price volatility means this resource has yet to be fully exploited. 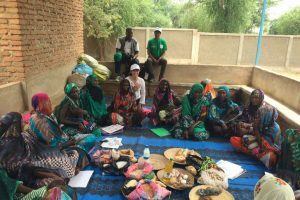 Chad continues to struggle with significant development needs and vulnerability. The majority of the population live as subsistence farmers, with limited access to clean water, sanitation and basic public services. 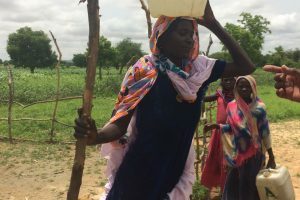 From Concern’s Country Office in Chad’s capital, N’Djamena, we visited field locations in Goz Beida, in the Sahel region. In N’Djamena we were fortunate to meet UN and INGO expert personnel from the humanitarian (OCHA), food (WFP), children (UNICEF) and funding teams (EU-ECHO). (UK Aid funds all of these organisations centrally, and funds EU-ECHO in Chad directly.) All shared their insights into the challenging situation in Chad: with one of the worst malnutrition levels in the world; the increasing vulnerability of Chadians and refugees within the county’s borders; and the complexities of delivering aid and attracting donors. In Goz Beida, I saw schools and health centres that were either closed or severely under-staffed – there is little or no money to pay for public service staff or provide equipment. Even in the mountains of Maoist Nepal and internally displaced camps in Darfur, children were in school! But there is hope. Concern is adding real value in practical ways. These include building wells to provide clean drinking water (UK Aid funding here); advising women on the importance of breastfeeding, and mixed groups on the importance of better sanitation, encouraging villagers to use the latrines we build; and working with farming communities to develop plant and tree nurseries, using the latest agro-innovations for helping crops to grow and yields increase where water is scarce. Sitting on colourful mats in the shade of a tree, shielding us from the desert heat, and talking with men, women and children about the challenges they face, the scale of their poverty is arresting. It was an immense honour to speak with and listen to people in Goz Beida, and heartening to hear how Concern’s hard work is helping to make their lives better. I spoke with women and young girls who told me how, through learning to breastfeed their babies, refraining from giving them dirty water from the river and using free maternal support from Concern teams, they had noticed real improvements in their own and their children’s health. 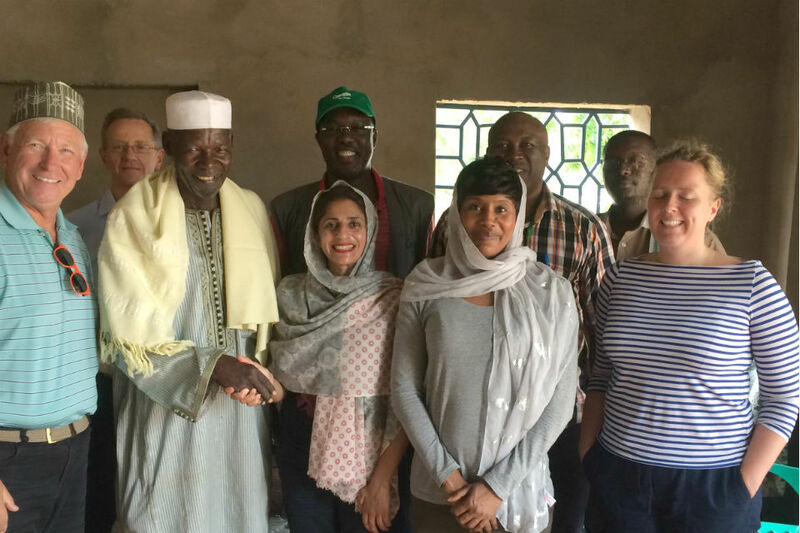 We met the local tribal Sultan, who shared his long-standing respect for Concern as one of only a handful of organisations working in the region. And the Governor set out what was needed to properly support schools, hospitals, infrastructure, communities and refugees. Back in 2004, when I was based in Darfur as Head of Office for UNDP, I had to arrange and host numerous visits to field operations by UN senior personnel. At the time, while recognising that such visits helped to attract much-needed funding, I found them deeply distracting from my core work. Now, as one of those distracting visitors myself, it is hard to fully convey how critically informative and life-altering these visits can be, and how much more immediate seeing the lived reality of grinding poverty is – real in a way that a report can never truly convey. The humanitarian lexicon appears to not adequately 'label' the critical realities Chad faces – there is no conflict, no genocide, no famine and yet the country seems largely engulfed in the most desperate poverty, and any one additional challenge could become a tipping point. Paramount among Chad’s needs are education and infrastructure investment for long-term security and sustainability. I will engage with my colleagues at Concern and the Department for International Development in the hope of provoking discussion and action on this, and apply what I learned in Chad across my role as a board member. My overarching takeaway: everything in life is relative. What any one person can achieve over the course of five days depends on a diverse range of factors. Volunteering can provide us all with the opportunity to get involved, apply existing skills and give back. What it can give in return is the invaluable opportunity to gain new perspectives, new skills and the great privilege of connecting with people whom we might otherwise never encounter, not knowing where it all might lead. If you would like to know more about volunteering and how to use your five days, talk to your department’s volunteering network; or investigate opportunities online through Do-It or the National Council for Voluntary Organisations (NCVO). If you would like to know more about Concern Worldwide visit www.concern.net.